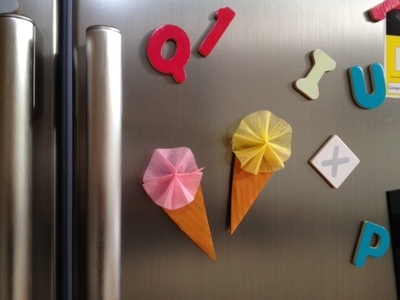 Bring a hint of Italy to your kitchen with these pretty gelato fridge magnets and use them to stick up your favourite works of art. 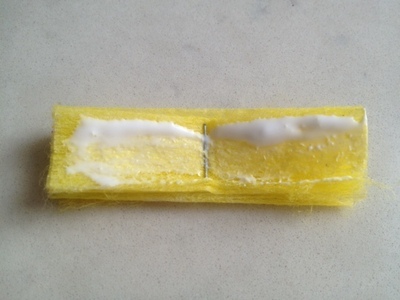 Have fun scraping wet paint with a comb to create an interesting wafer texture for the ice cream cone. Create an interesting waffle texture for the ice cream cone by scraping paint with a comb. Blob some paint onto a piece of thick cardboard. 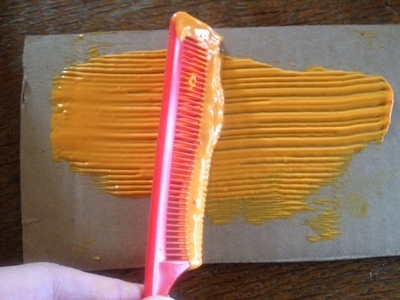 Scrape in horizontal and vertical directions with the comb then leave to dry. 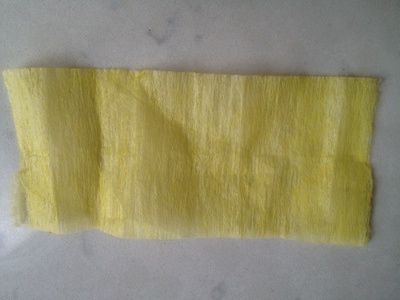 Cut a rectangle of paper or stiff fabric to make the gelato. You can make any size. 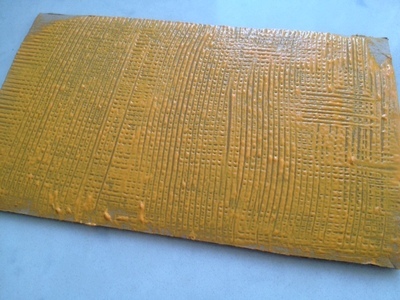 We used a rectangle 13cm x 6cm. 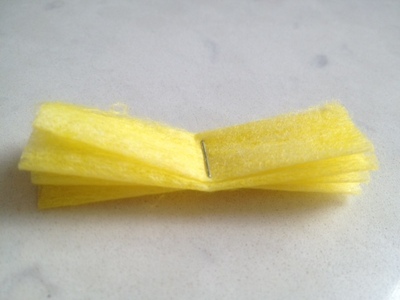 Fold the rectangle into a concertina. Our finished concertina was 6cm x 1cm. Staple the concertina in the middle. 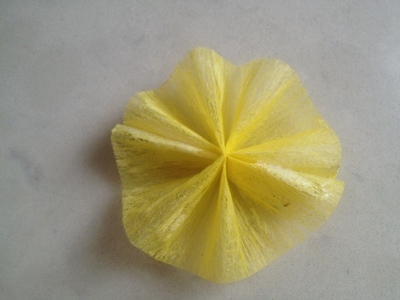 Glue one side then fold the top layer edges together over the staple to create a semi circle fan shape. Turn over and glue the other side. 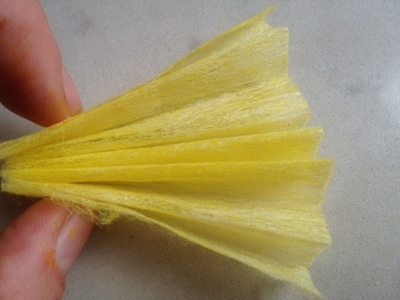 Fold the top layer over the staple to complete a circular fan shape. 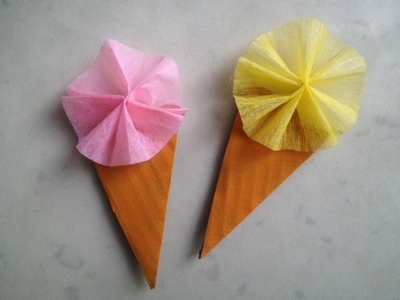 Cut a triangle from the wafer cardboard to make a cone shape and glue or staple your gelato to the cone (we stapled ours). 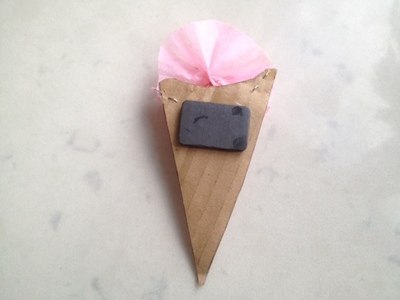 Glue a craft magnet to the back of your gelato cone. 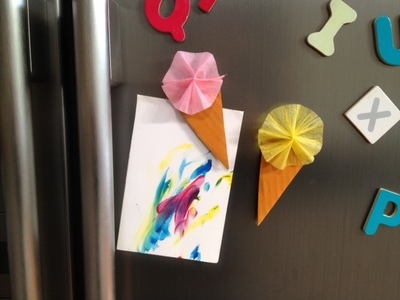 You could also stick the gelato cones on to a blank card to make a pretty greeting card, or make a few and mount in a box frame. These are so sweet Jane! I love them.